AT&T has a new promotion offering double the data on its mid-range plan. For $40/month, customers get 16GB of high-speed data, instead of the usual 8GB. The plan also includes unlimited talk and text across North America. The promo requires that customers enroll in AutoPay (without AutoPay, the plan is $50/month and only includes the usual 8 GB of data.) The plan includes rollover, where unused data is available the following month. The promo works by adding a special 8 GB block of "bonus data" each month. That bonus data is used first, followed by the standard data allotment. The bonus data does not roll over. Therefore if a customer used 8 GB one month, they could have up to 24 GB of high-speed data available the following month (8 bonus + 8 standard + 8 rollover). The plan also includes HD video and mobile hotspot. The next plan up is the unlimited prepaid plan for $65/month ($55 with AutoPay), but that does not include HD video nor mobile hotspot. The double-data promo will be available until July 11th, but customers who sign up before then will continue to receive the double data as long as they stay on the plan and signed up for AutoPay. The Samsung Galaxy Fold will be on display and available for purchase on April 26th at AT&T, T-Mobile, Best Buy, and Samsung Experience Stores. T-Mobile will start accepting online orders the night before, at midnight ET / 9pm PT. Samsung will start accepting pre-orders tomorrow, April 12th, exclusively for people who have signed up to receive Galaxy Fold updates on samsung.com. Samsung also confirmed that the Galaxy S10 5G will launch in the US in May. Verizon has previously announced that it will be the first US carrier to offer the phone, with a period of exclusivity. AT&T also recently revealed that it will offer the S10 5G in the "spring", which implies that AT&T will launch the phone in June. Samsung says pre-orders for the S10 5G will start "soon". 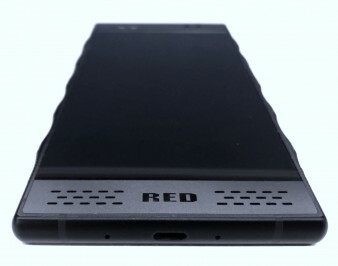 Red has removed all mentions of add-on modules for the Hydrogen One phone from its web site. When the phone was announced, add-on modules — including a high-end camera — were one of the key selling points. It was also supposed to integrate with other Red products via the module connector. The $1,300 phone with a unique 3D display is offered by both AT&T and Verizon. Sony's new phones have unusually tall screens with a 21:9 aspect ratio. The company today announced the Xperia 1, 10, and 10 Plus. The 1 is the new flagship, while the 10 and 10 Plus fill out the mid-range. All three phones ship with Android 9 Pie, support USB-C PD fast charging, and have at least two rear cameras, NFC, Bluetooth 5, memory card slot, and a fingerprint reader. Xperia 1: The company's new flagship has a 6.5-inch HDR OLED display with 4K resolution (1644 x 3840). It has three rear cameras: standard, wide, and 2x telephoto, all of which are 12 megapixel. The main camera supports 960 fps slow-motion video. It's powered by a Snapdragon 855 processor and 6 GB of RAM. It has a 3,330 mAh battery, water resistance, LTE Cat. 19, USB 3.1, Miracast, and support for PS4 Remote Play. 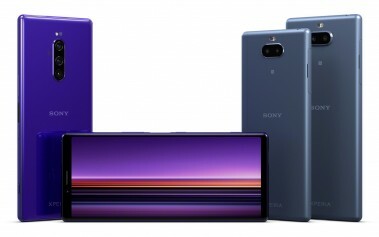 Xperia 10: This mid-range model has a 6-inch full-HD+ display, 13-megapixel main camera, 5-megapixel depth camera, 2,870 mAh battery, Snapdragon 630 processor, 3 GB of RAM, 64 GB storage, and Cat. 13 LTE. Xperia 10 Plus: A step up from the 10, it has a larger 6.5-inch display, 3,000 mAh battery, Snapdragon 636 processor, 4 GB of RAM, a better 12-megapixel main camera, and 8-megapixel 2x telephoto camera. All of the new models have basic support for AT&T and T-Mobile networks, including LTE bands 12, 29, and 66. The 10 and 10 Plus launch today, while the Xperia 1 will be available in "late spring". By the end of this year, AT&T's 5G network will use sub-6 GHz radio bands to achieve broad coverage. The Samsung Galaxy S10 5G announced today won't be able to access that part of AT&T's 5G network; it can only access mmWave spectrum being launched only in dense urban areas. AT&T and Samsung are working on a second 5G phone that will be able to access the whole 5G network, to be available by the end of this year. AT&T's press release reads: "In addition to the Galaxy S10 5G, we previously announced that we're working with Samsung to make another 5G smartphone available in the second half of this year. This smartphone will be able to access 5G using sub-6 GHz spectrum broadly available later this year and nationwide in early 2020, as well as access 5G+ over mmWave in dense urban areas when available." Sprint and T-Mobile also plan to launch 5G networks in sub-6 GHz bands. Verizon has thus far only announced plans to launch 5G in mmWave bands, which cannot provide broad coverage. 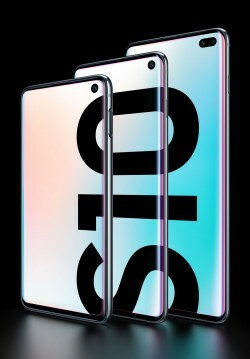 The Samsung Galaxy S10 series covers a wide range of prices, from $750 up to $1,600 for the best S10+, the Ceramic edition with 12 GB RAM and 1 TB storage. Although Samsung initially announced pricing only for the lowest-memory configuration of each S10 model, US carriers have now revealed additional details and deals, including pricing for the high-memory configurations, and monthly payment options. The pricing of the Galaxy S10 series is remarkably consistent across all US carriers, with up-front pricing being identical, and monthly options working out to an even split of the up-front price across the full term of the payment plans, with no interest. Most carriers are also offering special deals for multiple phones and/or adding lines to existing plans. Read on for full details. Samsung today announced the Galaxy Fold, the company's first commercial phone with a flexible display that folds in half. Folded, it resembles a thick smartphone with 4.6-inch HD Super AMOLED display; unfolded, it approximates a tablet in size and form factor, with a 7.3" "Infinity Flex" Dynamic AMOLED display. App Continuity allows users to start an Android app on the outer screen, then open the phone and continue uninterrupted on the larger screen. The inner screen also supports up to three apps side-by-side. It's powered by a Snapdragon 855 processor with 12 GB of RAM, and comes with 512 GB of storage. It also supports UFS 3.0 for faster storage access. Its two batteries total 4,380 mAh, and it supports fast wireless and wired charging. It has six cameras and a fingerprint reader on the side. The camera arrays are the same as on the new Galaxy S10+, including standard, wide, and tele cameras on the back, plus 10 megapixel selfie cameras on both the front and inside. 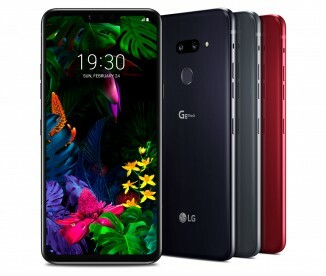 The 4G LTE version will go on sale April 26th for $1,980, and a 5G version will also be available. Both AT&T and T-Mobile will offer the Galaxy Fold in the second quarter of this year. The phone comes in Cosmos Black, Space Silver, Martian Green, and Astro Blue, with choice of hinge color for further personalization. AT&T today added Chicago and Minneapolis to its list of cities that will get a true 5G network by the end of this year. That list already includes Las Vegas, Los Angeles, Nashville, Orlando, San Diego, San Francisco and San Jose. The company already has 5G available to a limited group of customers in "parts of" Atlanta, Charlotte, Dallas, Houston, Indianapolis, Jacksonville, Louisville, Oklahoma City, New Orleans, Raleigh, San Antonio, and Waco. The company plans to launch 5G nationwide by "early 2020". This true (standards-based, mmWave) 5G network is not yet available to most consumers, and no phones have launched yet that support 5G. AT&T is currently running a misleading campaign to promote "5G E", which is actually 4G LTE. Sprint is currently taking AT&T to court over that campaign. Sprint this week became the last major US carrier to commit to ending its relationships with location aggregators, companies that resell phone location data, including real-time customer location. AT&T and T-Mobile last week pledged to cut off location aggregators in March, while Verizon has also told The Washington Post that it's working to end its location aggregator contracts. An investigation by Motherboard published last week found that loose regulation and oversight had led to location data being made available on an effective black market, with bounty hunters and other private citizens able to purchase real-time location data. Legitimate users of the data may be affected by the cutoffs, including roadside assistance services and banks that use customers' location to detect credit card fraud. Several members of congress have called for inquiries into the sharing and protection of location data. 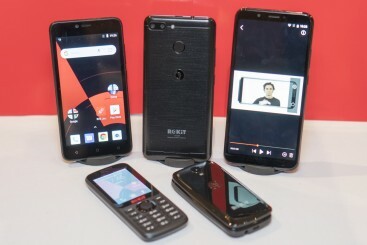 ROKiT is a new line of affordable unlocked phones accompanied by a unique range of health and life services for what it calls "transitionals", which means people between jobs, people struggling socioeconomically, and anyone without adequate health insurance. The lineup includes two very basic feature phones and three Android models. 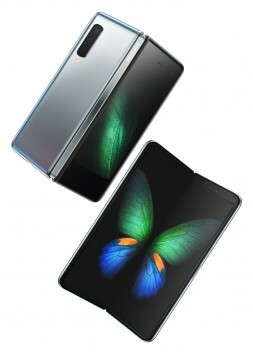 Two of the Android phones have glasses-free 3D screens and a ROK Flix app with exclusive 3D content. One of the first content offerings is an animated bible created by the company's own animation studio. The company offers a variety of subscription services tailored to its target market. ROK Health is included free for the first year on the three Android phones, and includes pharmacy discounts and family telemedicine. The subscriber and family members under 26 can call and consult with a real doctor at any time. After the first year, ROK Health is $10/month or $100/year. A step-up plan called ROK Life adds roadside assistance, accidental death insurance, burial and cremation insurance, ID theft protection, and family legal services. ROK Life runs $15/month or $150/year. The roadside assistance is also available separately for $30/year. 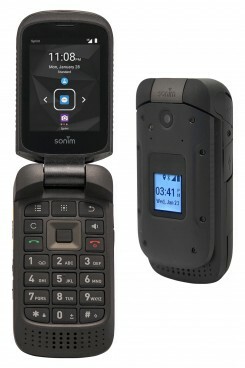 The feature phones are priced $35-40. The Android models run $90-275. The phones work on AT&T and T-Mobile networks, and cellular service must be purchased separately. ROKit phones and services will be available in March. The parent company ROK Brands previously launched ROK Mobile as a music-focused MVNO in 2014, re-launched it in 2015, then closed shop last year. AT&T plans to change the indicator in the status bar of some Android phones from "LTE" to "5G E" in select markets. Specifically, this logo will appear in cities and towns that have been upgraded to AT&T's 5G Evolution technology, which is not 5G at all. Instead, the phones will be connecting to faster 4G LTE that relies on 4x4 MIMO, LAA, 256 QAM, and other LTE-based technologies. What AT&T calls 5G Evolution will be up and running in more than 400 markets by the end of the year. It is in these markets that Android device owners will see the logo change. The change arrives just as AT&T launches its mobile 5G network. The only device that can access the nascent 5G network is a mobile hotspot. AT&T isn't expected to offer a 5G phone until February or March. That 5G service will appear as "5G+" once it arrives. AT&T's planned "5G E" change is likely to mislead some consumers into believing they are connecting to 5G service when in fact they are not. AT&T said its mobile 5G service is live starting today in a handful of markets. This makes it the first major U.S. carrier to launch 5G. AT&T is branding the service AT&T 5G+. It relies on the 5G NR standard and makes use of AT&T's mmWave spectrum. The service is being offered in parts of Atlanta, Charlotte, Dallas, Houston, Indianapolis, Jacksonville, Louisville, Oklahoma City, New Orleans, Raleigh, San Antonio, and Waco. AT&T didn't say exactly where in these markets 5G is available. The company plans to expand to Las Vegas, Los Angeles, Nashville, Orlando, San Diego, San Francisco, and San Jose during the first half of next year. 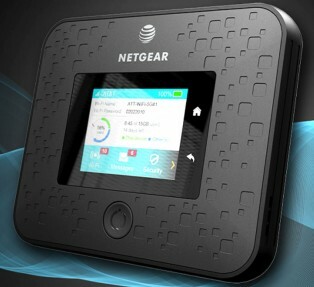 The first device to provide access to AT&T's 5G service is the Netgear Nighthawk 5G Mobile Hotspot. It goes on sale December 21. Select early adopters will be able to grab the Nighthawk with mobile 5G service at no cost for three months. The device will be more widely available in the spring for $499. AT&T says its data-only 5G service will start at $70 per month for 15 GB. AT&T expects to have at least one 5G phone reach the market during the first half of the year with a second to follow before the end of 2019. This second device will include both mmWave and sub-6 GHz 5G spectrum. AT&T hasn't priced out phone-based 5G service yet, but says it expects 5G service will be "broadly available" by late 2019 with nationwide coverage to follow in early 2020. Blu today revealed the Vivo Go, a sub-$100 smartphone that runs the Go Edition of Android 9 Pie. Android Go focuses on delivering the core Android experience through lightweight versions of Google's apps. The phone has a curved glass front, mirrored frame, and metal-plated rear panel. The Vivo Go includes a 6-inch, HD+ (1,440 by 720p) screen with a 2:1 aspect ratio. It is powered by a 1.5 GHz quad-core MediaTek chipset with 1 GB of memory and 16 GB of storage. The phone supports microSD memory cards up to 64 GB. Blu paired an 8-megapixel main sensor with a VGA secondary sensor on the rear. The dual-camera setup supports adjustable depth-of-field portrait shooting. The selfie camera has a 5-megapixel sensor and a flash of its own. Other features include a rear-mounted fingerprint reader, 3.5mm headphone jack, microUSB, and basic support for AT&T/Cricket Wireless and T-Mobile/Metro. 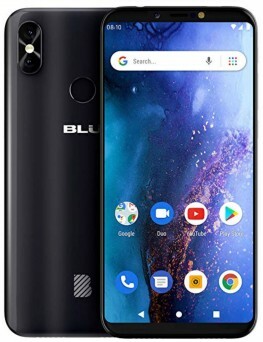 The Blu Vivo Go goes on sale via Amazon.com today for $80. It will be available briefly at a price of $60 upon launch. Huawei CFO Meng Wanzhou is facing extradition to the U.S. so she can face accusations that she hid connections with a company in order to sell sanctioned equipment to Iran. The U.S. first issued a warrant for Meng's arrest in August; she was arrested on Dec. 1 in Vancouver and has been held there since. The government alleges that Meng relied on Skycom Tech Co, based in Hong Kong, to sell HP computers to Iran in violation of U.S. and EU law. Skycom had an office in Tehran and was effective run by Huawei. She faces charges of conspiracy to defraud multiple financial institutions, which could carry a prison sentence of 30 years. Meng sought bail in a hearing held today in Vancouver. The U.S. now has 60 days to formally request Meng's extradition. A Canadian judge will ascertain whether or not the case against Meng is strong enough. If deemed solid, Canada's justice minister will be responsible for making the decision to turn her over. The U.S. has long held that Huawei's ties to the Chinese government are too close, and that Huawei represents a security risk to the country. The government has already banned employees from using Huawei phones. Early this year, AT&T, Verizon Wireless, and others shelved plans to sell Huawei phones. Carriers are prohibited from using Huawei's telecommunication equipment, and the U.S. has advised carriers in other countries to also ban Huawei gear. AT&T and Verizon Wireless have confirmed that the latest system update for iPhones from Apple has made it possible to support the eSIM on their networks. AT&T is activating eSIM support on the iPhone XS, iPhone XS Max, and iPhone XR starting today. It won't cost AT&T subscribers to use the feature. "AT&T does not charge for a SIM Card/eSIM Card for device upgrades or new lines of service," said the company in a statement provided to Fierce Wireless. Verizon told Fierce that it will initiate support for the eSIM starting tomorrow, December 7. T-Mobile is still working to make eSIM happen, but has not provided a timeline for bringing the feature to its customers. The eSIM in the newer iPhones allows the devices to act as though they have dual SIM cards. Owners can designate one SIM as the primary and use that for calls, messaging, and data. The secondary SIM acts as a separate account and can handle calls and texts. AT&T today said it plans to release a second 5G smartphone during the latter half of 2019. Samsung will make this new device for AT&T and, unlike the first 5G phone from AT&T, this second one will support 5G in both mmWave and sub-6 GHz bands. AT&T says it is still on track to launch mmWave mobile 5G before the end of 2018. It has been installing software upgradeable sub-6 GHz radios throughout 2018 and will continue to do so in 2019. AT&T didn't say when it intends to light up sub-6 GHz spectrum with 5G service. AT&T's mobile 5G network will only be available in a handful of cities to start and will grow over time. AT&T today said it plans to sell a 5G smartphone from Samsung during the first half of 2019. The device is likely similar to, if not the same as, the mobile 5G device that Verizon recently said it will sell next year. The 5G phone from Samsung will join the 5G mobile hotspot already announced by AT&T. AT&T expects to sell the hotspot before the end of 2018. The company says it has installed mobile 5G network equipment in the 12 markets where it plans to kick off 5G this year. Those cities include Atlanta, Charlotte, Dallas, Houston, Indianapolis, Jacksonville, Louisville, Oklahoma City, New Orleans, Raleigh, San Antonio, and Waco. AT&T will expand its 5G service during the first half of 2019 to parts of Las Vegas, Los Angeles, Nashville, Orlando, San Diego, San Francisco, and San Jose. AT&T is working with Samsung on what it calls a "manufacturing-focused 5G Innovation Zone." This testing ground will explore how robotic manufacturing can be improved with 5G. AT&T plans to cease offering AT&T Smart Limits, a service that allows parents to control their kids' phones, on November 26. Smart Limits will no longer be available after that date. In its place, AT&T is launching AT&T Secure Family. The new app and service has more features, a simpler user interface, and lets parents manage more phones at a lower price. AT&T Secure Family includes live location tracking and detailed location history for each family member. Parents can set up arrival and departure alerts, such as when kids leave school or arrive home. Parents can also schedule location updates that are sent automatically throughout the day. Secure Family includes content and usage controls. Parents can pause access to the internet, such as at bedtime, filter and block apps and online content based on age, set time limits for kids' daily internet access, and prevent kids from making purchases on the iTunes App Store or Google Play Store. AT&T Secure Family is available to iPhone and Android devices and costs $7.99 per month to manage up to 10 lines. Randall Stephenson, CEO of AT&T, wants Congress to prevent states from enacting their own net neutrality and privacy laws. "There are a number of states that are now passing their own legislation around privacy and, by the way, net neutrality." Stephenson made the comments in a video interview with the Wall Street Journal. "What would be a total disaster for the technology and innovation you see happening in Silicon Valley and elsewhere is to pick our head up and have 50 different sets of rules for companies trying to operate in the United States," said Stephenson. The Obama-era FCC created a national net neutrality policy that was later torn down by Trump's republican-led FCC. In the wake of that action, individual states have promised to create their own legislation to protect net neutrality. California was among the first to approve such legislation, though it won't put its new laws into effect until litigation against the FCC works its way through the courts. Stephenson believes Congress should act to keep the states from creating a patchwork of rules that could tangle AT&T and other internet providers in a sticky web of compliance. Stephenson does agree with one core tenet of net neutrality: "There should be no blocking," he said, and ISPs "should not be allowed to throttle somebody else's content." He said nothing about paid prioritization or zero-rating. 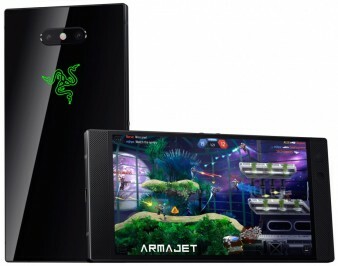 AT&T today announced that it will be the first U.S. carrier to sell the Razer Phone 2. The device will reach select stores on November 16 and will be available online the same day. The phone costs $799 and AT&T is looking for $26.67 per month for 30 months on an AT&T Next plan. The Razer Phone 2 is a dedicated gaming device. It has a 5.7-inch quad HD IGZO screen with a 120 Hz refresh rate and is powered by the Snapdragon 845 processor with 8 GB of RAM. The main camera features a wide field of view with a 12-megapixel sensor, while the secondary camera has a telephoto lens with a 12-megapixel sensor. It has an 8-megapixel front camera. Owners can adjust the illuminated Chroma on the rear of the phone however they wish. The Razer Phone 2 has a 4,000mAh battery that supports rapid charging and wireless charging. 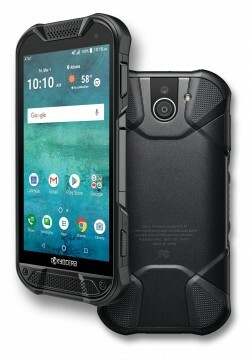 The chassis is rated IP67 for protection against water and dust, and a fingerprint reader is located on the right edge. Razer nixed the headphone jack, but it included a DAC-assisted USB-C-to-3.5mm adapter in the box and the phone includes Dolby stereo speakers. It runs Android 8.1 and has its own launcher styled after Razer's design language. The phone includes the Cortex Mobile app, where owners can find the latest games. The unlocked version of the Razer Phone 2 (with AT&T, T-Mobile, and Verizon compatibility) is already available online. Commuters who use the Port Authority's PATH train service will soon have broader access to wireless service. Beginning today, AT&T and T-Mobile service is live in underground PATH stations in New York City. AT&T and T-Mobile service will expand to underground stations in New Jersey over the next three weeks. The Port Authority says service from Sprint and Verizon Wireless will reach underground stations in both New York and New Jersey in early 2019. Cellular service will be available on platforms and throughout the underground stations. The underground PATH stations in New York are located at 33rd, 23rd, 14th, 9th, and Christopher streets, while the underground New Jersey stations are located at Hoboken, Exchange Place, Newport, and Grove Street. The Journal Square, Harrison, Newark Penn Station (which are all above ground), and World Trade Center PATH stations already offer cellular device. The Port Authority recently added free unlimited, high-speed WiFi service at the four major New York-area airports. FCC Chairman Ajit Pai sent letters to more than a dozen telephone service providers today asking them for a status update on their efforts to curb robocalls. He demanded these companies deploy a system that authenticates the identity of callers as those calls transit the networks with the goal of identifying and squashing spoofed numbers and spam. Pai wants the system rolled out no later than 2019. "Combatting illegal robocalls is our top consumer priority at the FCC," said Pai. "That’s why we need call authentication to become a reality — it's the best way to ensure that consumers can answer their phones with confidence." Earlier this year, the FCC approved an authentication system called SHAKEN/STIR. This system verifies calls from the originating carrier as legitimate and ensures they are validated once again by the receiving carrier before the calls reach consumers. Americans receive billions of robocalls annually. If no action is taken, more than half of all calls made in 2019 are predicted to be robocalls. "By this time next year, I expect that consumers will begin to see this on their phones," continued Pai. "If it does not appear that this system is on track to get up and running next year, then we will take action to make sure that it does." Pai asked the telephone service providers to send in status reports indicating how far along they are in adopting the SHAKEN/STIR framework. The telephone companies have until November 19 to reply. Some of the companies that received letters include AT&T, Google, Sprint, T-Mobile, U.S. Cellular, and Verizon. 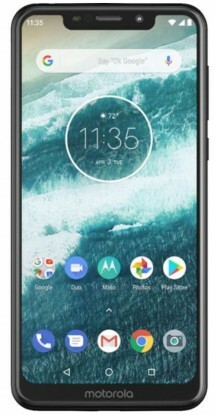 Best Buy recently added the Motorola One to its web site. The phone, available for pre-order, costs $400 and will begin to ship November 9. Motorola had not previously announced plans to sell the phone in the U.S. The Motorola One runs the Android One platform, which means it will recent regular security updates from Motorola. It ships with Android 8.1 Oreo, but will receive Android 9 Pie soon. The phone doesn't have bloatware and ships only with essential apps from Google. The Motorola One has a 5.9-inch HD+ screen with a 19:9 aspect ratio. It packs dual 13-megapixel cameras on the back and an 8-megapixel camera on front. Photo modes include portrait, cinemagraph, time-lapse, 4K video capture and Google Lens. Google says the 3,000mAh battery supports TurboPower charging. The Motorola One is based on a Snapdragon 625 processor with eight cores at 2 GHz. The phone has 64 GB of internal storage and supports microSD memory cards up to 256 GB. The Motorola One is sold unlocked with support for AT&T and T-Mobile. Apple this week distributed iOS 12.1 and with it turned on the dual-SIM capability of the iPhone Xs, Xs Max, and Xr. Each of these newer iPhones includes a slot for physical SIM cards as well as an embedded eSIM. The eSIM can be used to change carriers at will. Despite the feature's availability from Apple, U.S. carriers aren't supporting it just yet. A check of Apple's web site shows that AT&T, T-Mobile, and Verizon Wireless will add the capability "later this year." AT&T says it is still working with Apple to add the feature, T-Mobile says it is still finalizing the software, and Verizon has confirmed that the eSIM causes coverage issues. Sprint has publicly said it will support the dual-SIM and eSIM functionality of the newer iPhones, but the company has not said when that might be. This all means U.S. consumers hoping to take advantage of the new iPhones' dual-SIM capabilities will have to wait a bit longer. Cricket Wireless today said customers will be able to buy the Samsung Galaxy A6 starting November 2. The phone is already available from Cricket parent AT&T, as well as Sprint and Sprint-operated Boost Mobile. The Galaxy A6 is an affordable mid-range device with a 5.6-inch screen with Gorilla Glass 5, octa-core Exynos processor, 3 GB of RAM, 32 GB of storage, and front/rear 16-megapixel cameras. Other features include a fingerprint reader, microSD card support, LTE 4G, and a 3,000mAh battery. Cricket says the Samsung Galaxy A6 will cost "less than $400." Other carriers are selling it for $385. AT&T and Verion today disclosed launch details for the Red Hydrogen One. The phone, which boasts a 3D "holographic" display, will reach select stores on November 2. AT&T has priced the phone at $43.17 per month for 30 months on an AT&T Next plan, which totals more than $1,295.00. AT&T typically also offers 18- and 24-month payments plans for devices, but it hasn't provide details on those options. Verizon Wireless also plans to sell the phone, and will charge $53.95 per month for 24 months for a total of $1,295. 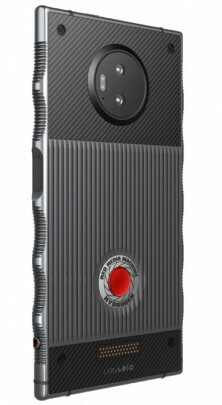 The Hydrogen One has a 3D screen and can capture 3D photos and video. AT&T today claims that it recently browsed the web using standards-compliant mobile 5G NR mmWave gear. The real-world test took place in Waco, Texas, and included Ericsson networking equipment together with AT&T's forthcoming Netgear Nighthawk 5G Mobile Hotspot. The company connected the 5G hotspot via mmWave to its network and successfully browsed the web on what will eventually be a commercially available device. The Nighthawk relies on the Qualcomm Snapdragon X50 5G modem and will serve as AT&T's very first 5G product. AT&T reiterated that it is on target to launch mobile 5G in 12 markets this year with 19 more to follow in early 2019. Emblem Solutions revealed itself today and says it will make smartphones, tablets, and feature phones for AT&T beginning next year. The new company is acting as a white label manufacturer and will supply devices exclusively to AT&T, AT&T Prepaid, and Cricket Wireless. AT&T has a financial stake in the company and placed two of its own employees on Emblem's board of directors. Emblem says it has a diverse set of manufacturing facilities, located in India, Indonesia, and Vietnam. The two companies expect the first AT&T-branded device from Emblem to reach the market by the end of 2019. AT&T didn't indicate what type of device Emblem will supply first. AT&T isn't the first to offer branded devices made by a white label manufacturer. Both T-Mobile and Verizon have sold phones under their own brand name. AT&T has partnered with Lookout to create the AT&T Mobile Security app, which it is bringing to iOS devices for the first time beginning today. The app had previously only been available to Android phones. AT&T Mobile Security is available in free and paid versions. AT&T Mobile Security Basic only reminds people to update their devices to the latest operating system and to set a passcode to protect the phone. AT&T Mobile Security Plus adds several more features and requires a $3.99 per month subscription. For example, AT&T Mobile Security Plus includes a tool called Secure WiFi VPN, which automatically scans public WiFi networks before subscribers connect to determine whether or not the network is secure. If it isn't, the VPN kicks on automatically, encrypting the connection between device and the access point to protect user data. AT&T Mobile Security Plus also includes Breach Reports. Breach Reports will alert subscribers when companies, apps, or services they follow suffer a security breach that could leave their personal information exposed. The Breach Report offers subscribers advice on how best to protect themselves based on the type of breach. Customers who was more peace of mind can bundle AT&T Mobile Security with AT&T Call Protect, which offers spam warnings, manual call blocking, and automatic fraud blocking. AT&T Mobile Security Basic and AT&T Mobile Security Plus are available from the iTunes App Store and Google Play Store. AT&T is nearly ready to launch its mobile 5G network, according to CEO John Donovan. Speaking during the company's earnings call today, Donovan said, "AT&T is on track to be the first wireless carrier to introduce mobile 5G services in the United States in the next few weeks. This will be standards-based 5G." The company had previously committed to launching mobile 5G before the end of the year. Rather than go to market with phones, AT&T's first 5G device will be a puck-style mobile hotspot. AT&T has yet to share details about the device. The company intends to launch with the 3GPP 5G NR standard on 28 GHz spectrum in portions of 12 markets before the close of the year, with plans to reach more markets next year. AT&T hasn't said how quickly it will expand its 5G footprint. The company has been upgrading its LTE network to what it calls 5G Evolution, a version of LTE-LAA that is able to boost throughput and speeds. AT&T expects to have LTE-LAA in 400 markets by the end of the year, with nationwide coverage expected by mid-2019. AT&T's mobile 5G launch follows Verizon's recent launch of fixed 5G. Verizon is offering non-3GPP spec 5G TF as an in-home broadband service in a handful of markets. Verizon's mobile 5G network won't get off the ground until next year. The same goes for the mobile 5G networks of Sprint and T-Mobile. At an event in NYC today, RED CEO Jim Jannard revealed how owners of the company's forthcoming Hydrogen One phone will be able to access and share 3D content. The phone has stereoscopic 3D cameras on both sides, and a "holographic" display that displays 3D content without special glasses. The phone will come with HoloPix, an Instagram-like app for sharing 3D photos. The company is also working on a FaceTime-like app for real-time 3D video chat, which should launch shortly after the phone launches. The company's Hydrogen Network service will offer paid and free commercial movies and video. The catalog of 3D films will include 55 titles from Warner Brothers, including The Hobbit. AT&T customers will receive Ready Player One and a Fantastic Beasts movie for free. Established content creators can apply to create their own channel on Hydrogen Network with paid and/or free content. The Leia Loft is a separate service for 3D-compatible games and apps, paid and free. RED claims that developers can make their games compatible with the holographic display very easily. 3D photos taken with the Hydrogen One are saved as JPEG files with the 3D data in metadata, so that they automatically display as 2D photos on any 2D devices they're shared with. Pricing and launch date with AT&T and Verizon have yet to be finalized. AT&T today said it has launched what it calls 5G Evolution in 99 new markets, bringing the total of pre-5G markets to 239. AT&T is on track to reach its goal of 400 markets by the end of the year, and nationwide coverage during the first half of 2019. The company says its 5G Evolution technology — which is not 5G NR — can deliver theoretical speeds up to 400 Mbps to properly equipped phones. AT&T expects to launch true 5G mobile service in a dozen markets by the end of the year, with another seven joining the list in early 2019. Further, AT&T has expanded its LTE-LAA footprint to parts of 20 markets and expects to reach 24 by December. LTE-LAA can push speeds to a theoretical max of 1 Gbps. 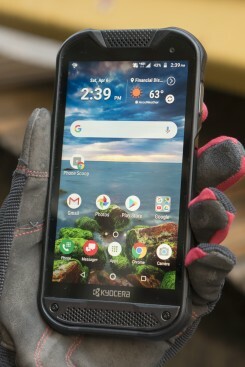 A handful of phones sold by AT&T are LTE-LAA capable, including the Samsung Galaxy S8, S9, S8+, S9+, Note8, Note9, and S8 Active, as well as the LG V30 and V35, the Motorola Moto Z2 Force Edition, and the Netgear Nighthawk Mobile Router. AT&T's first real 5G NR mobile device will be a mobile hotspot.